All I'm seeing on this page seem to be fake download buttons that say things like "Free IT Help Desk Software." I'm certainly not touching THAT. I've checked on two computers. 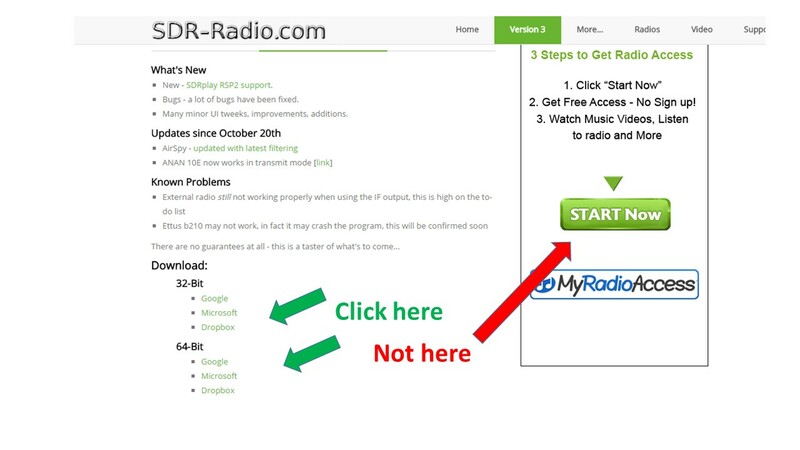 Notice too that http://www.sdrplay.com doesn't have a download button for the new preview software. Hi. SDR-Console is supported by advertising and what you have clicked on are the advertising sponsors 'download' buttons. I have added a comment on our posting to point this out and Simon Brown has added the word 'Downloads' in a larger font so that it is easier to see it within the body of his web page. "SDR-Console is supported by advertising and what you have clicked on are the advertising sponsors 'download' buttons." You mean SDR-Console is supported by advertising for likely dodgy software that no one intentionally downloads. I haven't clicked on anything on that page. Anything else we should be warned about? Those impostor buttons take various forms, btw. Some versions look very much like the real button. Guarantee that some hams clicked the wrong button. and see what happens after you selected "Regular download" from the dfiles "cloud" storage! I can tell you: Almost every click wants to push you to a download of a "Windows optimizer", an update of your outdated Adobe flash player (although you have the latest), signing a dubious cost liable subscription contract and more. This is normal "business" on the internet and one should have learned what to do when such unsolicited websites come up. BTW: I am using Firefox Adblocker and I have never seen any ads on Simon's webpage. Now after you complained I opened the page with MS Internet Explorer and Google Chrome and saw the popups for the first time ever.